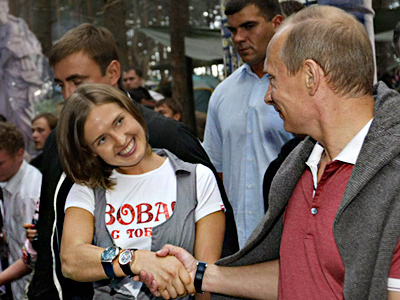 Russian Prime Minister Vladimir Putin has made a spectacular appearance at a youth bike show in the Russian city of Novorossiysk. He arrived on a three-wheel Harley Davidson at the head of a column of Night Wolves to praise WWII heroes. 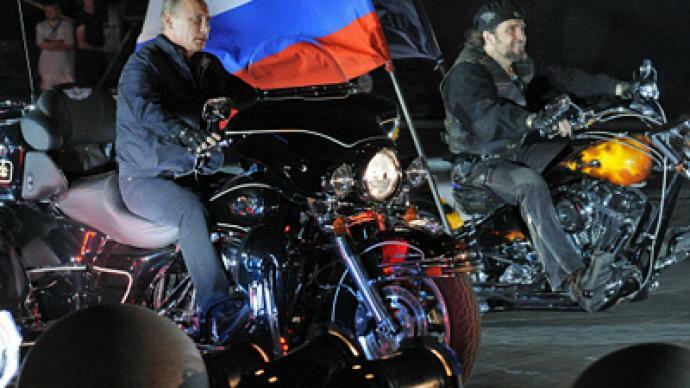 Before his arrival, the Russian premier had met the bikers from the Night Wolves group at a deserted parking lot, where he greeted their leader ‘Surgeon’, whom Putin had met with on numerous previous occasions. The bikers who organized the show briefed the Russian prime minister on the peculiarities of the current 16th bike festival. The venue for the event is the cruiser Mikhail Kutuzov. Once believed to be the largest in the former Soviet Union, the vessel is now moored in the seaport and acts as a museum. Addressing the crowd from a stage mounted on the cruiser deck, Putin recalled that almost 68 year ago Novorossiysk was liberated from Nazi troops. "And chapters [of history] are surprisingly intertwined with the motorcycle because the motorcycle was the best way to get children to safety. 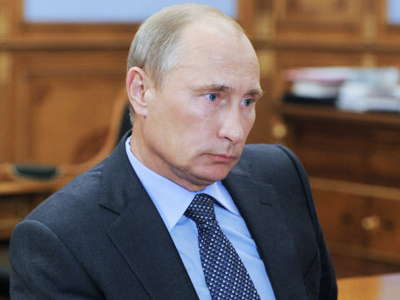 They were seated in the sidecar, several kids in one sidecar, and taken to Sochi," Putin said. 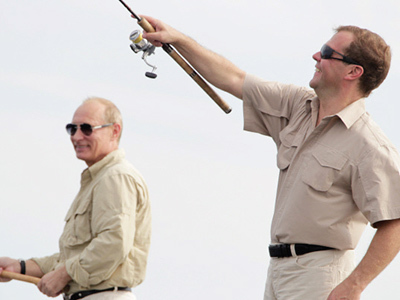 Commenting on whether Vladimir Putin had undergone training to ride the motorbike before the show, the Russian premier’s press secretary, Dmitry Peskov, said that from time to time Vladimir Putin rides both two-wheel and three-wheel motorcycles.